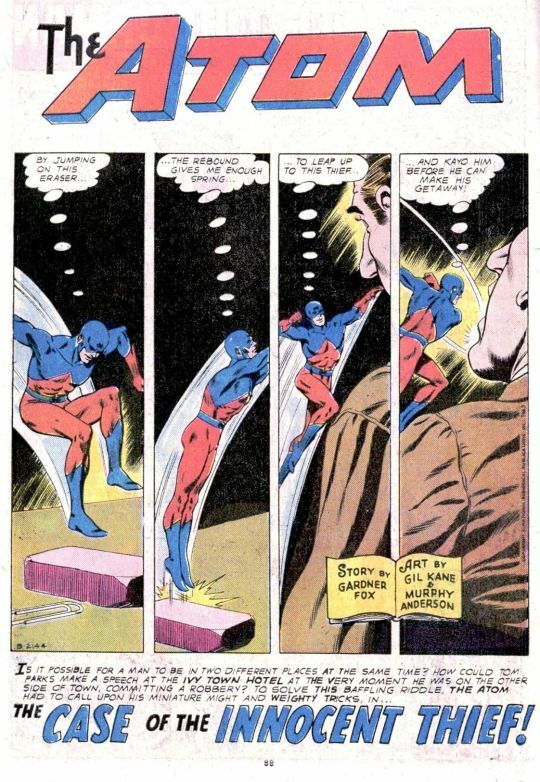 The lead story, pairing Batman and and the Atom, is seriously messed up. It was creepy and strange at the time, and now, decades later, it’s still a bizarre story in almost every respect. 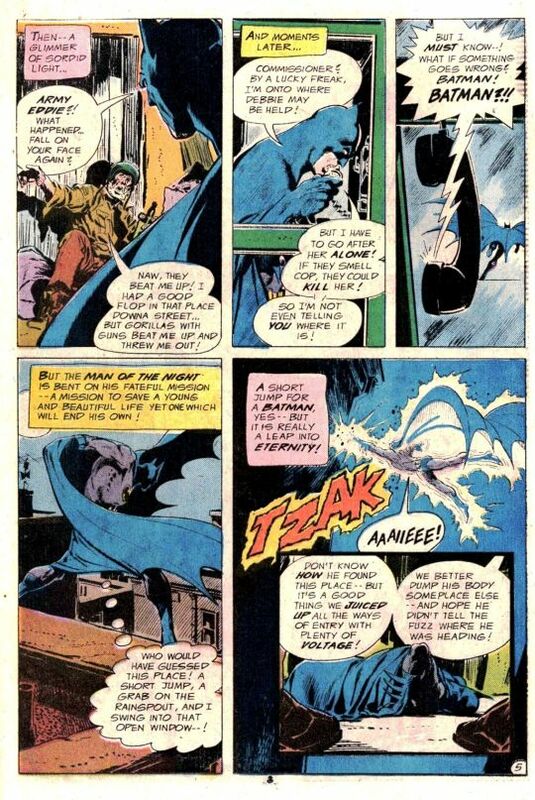 It opens with a kidnapping, and Batman telling the parents that he’ll do everything he can to locate their daughter. He also goes just a little bit nuts on the incarcerated criminal who likely masterminded the abduction. Batman is not on his game here. Really not on his game, as he stumbles into a death trap–the entranceways to the kidnappers’ hideout have been electrified–and is killed. 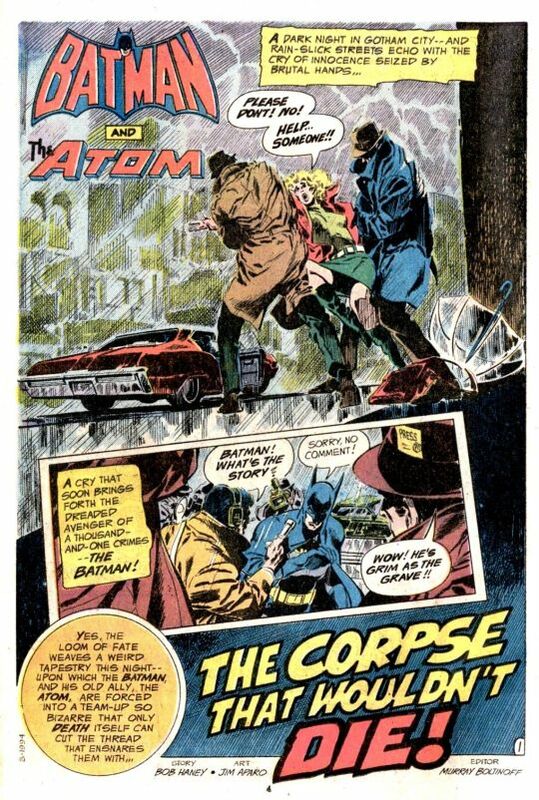 Yes, Batman is dead–the thugs even toss his lifeless body on the steps of Police headquarters. At the hospital, doctors confirm that Batman is clinically dead. While his heart will still beat for a few hours, he has no brain function. The doctors call in a specialist: Ray Palmer, secretly the Atom. What a theoretical physicist might have to say about a medical condition, I don’t know. But when Gordon laments that Batman left his final case unfinished, Palmer gets an idea. 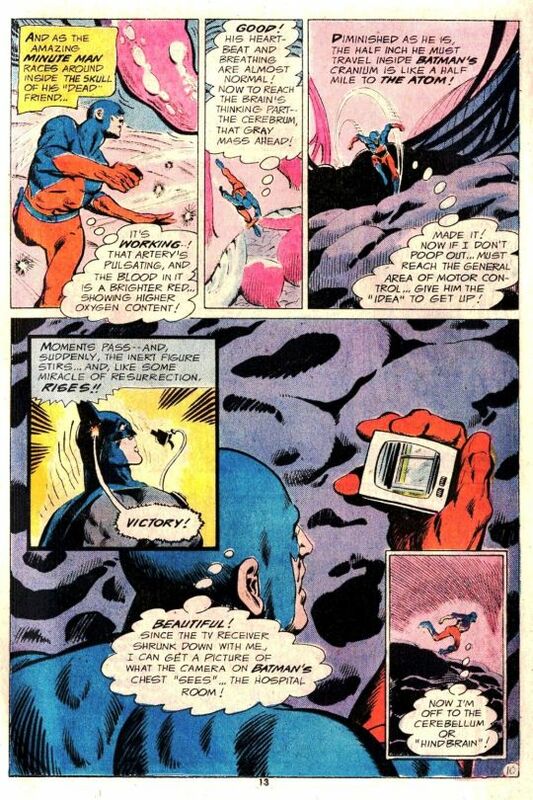 He shrinks himself down and enters Batman’s body, manipulating his brain from within to make his body move, guided by a chest-mounted camera. 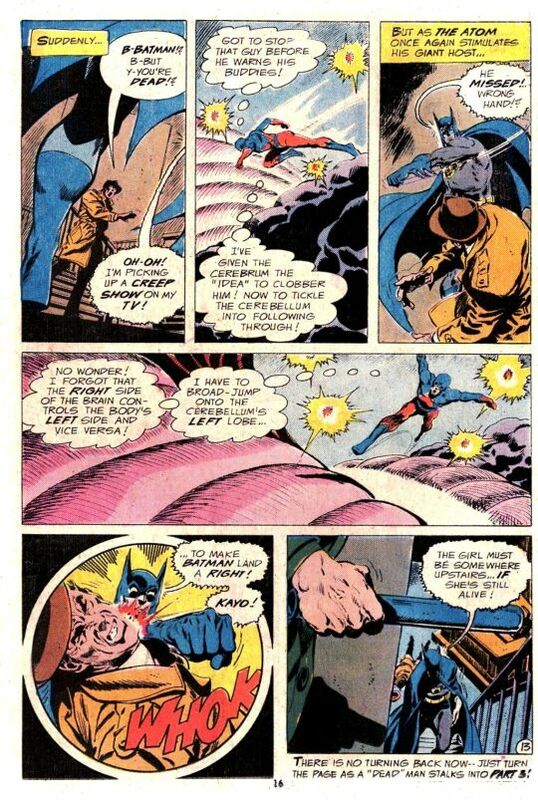 From here, the adventure grows even more ridiculous, as the brain-dead Batman is guided by his “crimefighter’s instinct” back to the place where he was killed, guided by the Atom leaping around inside his brain. I did learn the science fact that the left side of the brain controls the right side of the body and vice versa from this story. In the end, Batman locates the girl, but it’s a Mexican stand-off. 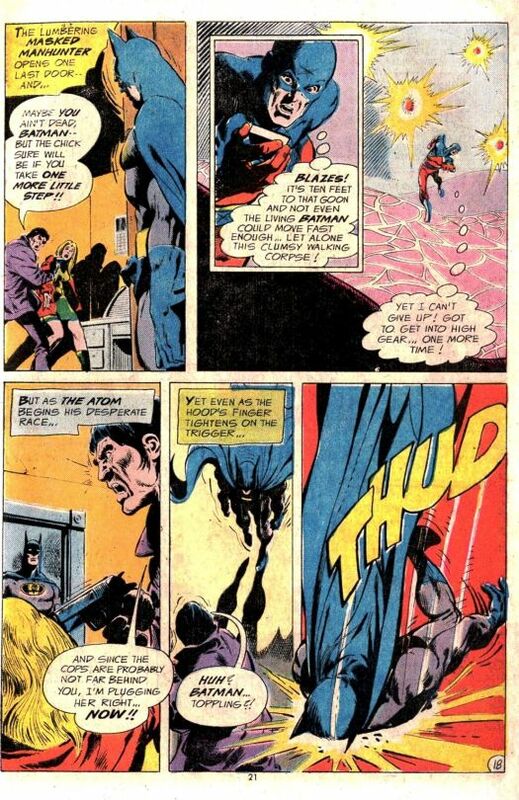 Suddenly, Batman keels over–and the Atom emerges to kayo the kidnapper. 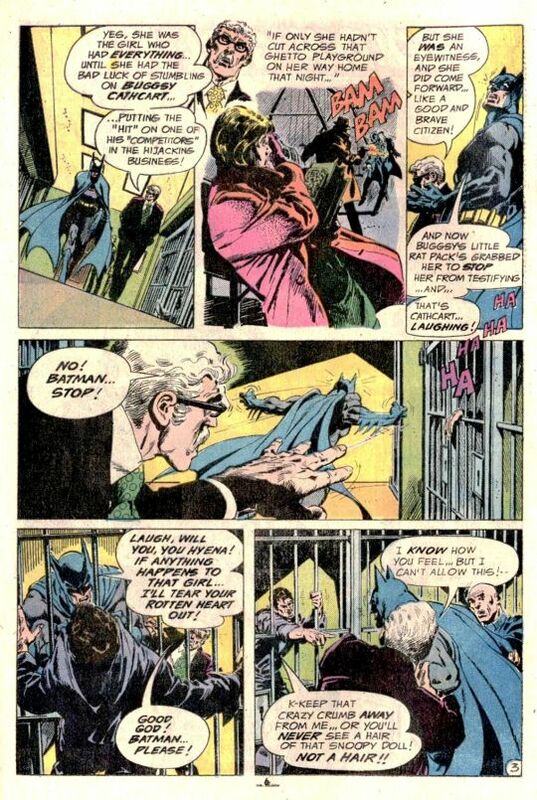 Even better–and dealt with in three panels in an almost off-handed fashion–all of this jumping around in Batman’s brain has restored the Darkknight Detective’s brain functions. He’s going to be all right. 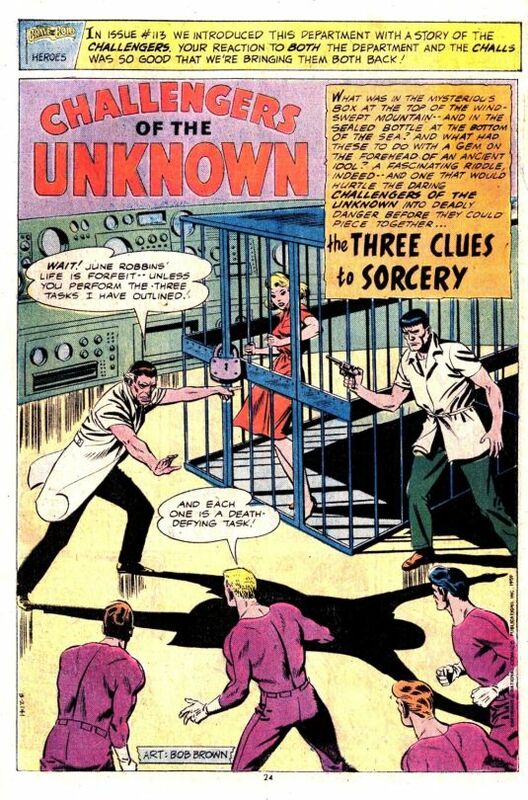 And nobody knows that the Atom had anything to do with it, as Ray Palmer slinks away, smoking his pipe. Then it was reprint time. In this case, it started off with an adventure of the Challengers of the Unknown. I love the concept of the Challengers, but it must be said that most of their adventures were pretty dry and colorless, and this one is no exception. 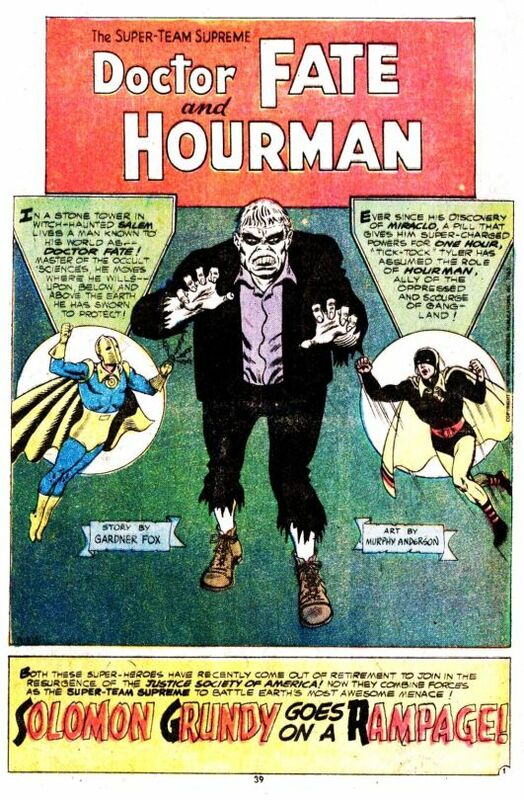 But that was made up for by the next entry, a team-up of Doctor Fate and Hourman that also guest-starred the golden age Green Lantern–my first exposure to that version of the character–as well as his perennial nemesis Solomon Grundy. There’s a freaky sequence where Grundy turns GL into a mindless creature like himself. Then came the Origin of the Viking Prince. 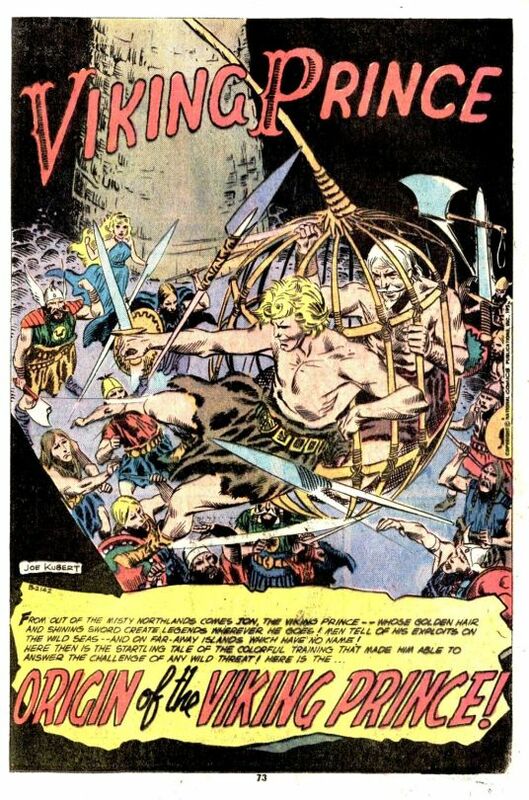 It’s a beautiful story with great Joe Kubert art–but as a kid, these kinds of stories simply didn’t interest me. I can’t honestly say if I even bothered to read it. Kubert’s art, too, was a bit of an acquired taste, being so different from the clean, sleek DC style that I preferred. And the book closes with a generic Atom story, one that I don’t remember a thing about, even today. It did have nice Gil Kane artwork, though.